Here Come The DC San Diego Comic-Con Exclusives! We reached out to DC Collectibles for more details and they confirmed that all of their convention exclusive items will be available at the show through Graphitti Designs, with any left over stock to be sold through both Graphitti’sand their retail websites. They also mentioned that there are not be any plans for pre-orders but look to Graphitti for any alerts that may pop up. In the topic of the packaging they informed us that their exclusives will be consistent with the current packaging their brands are seeing but will feature a logo for the shows they are made available to. Eagle-eyed fans have also pointed out that the Green Lantern pack is missing the star of the series, Hal Jordan, and have taken this as a sign that the line is moving forward with more releases. While they did not confirm that he is in the plans they did comment that there is a potential that we may see a Hal Jordan in the future. With Batman Arkham Origins coming to gaming consoles this fall, fans were also afraid that the release of Hugo Strange as a convention exclusive will mark the end of the Arkham City line from DC Collectibles. While the number of introduces characters might be winding down we would like to point out that we still have the GIGANTIC Solomon Grundy coming later this year to look forward to. 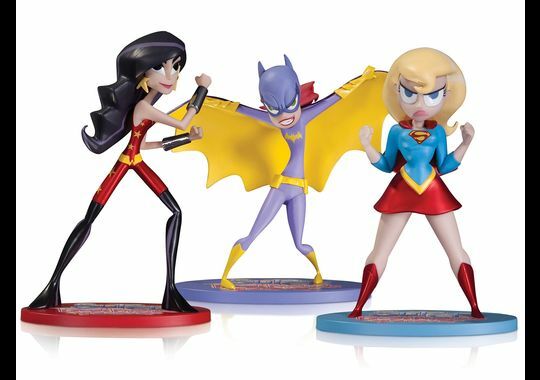 USA Today has announced the DC exclusives for San Diego Comic-Con. 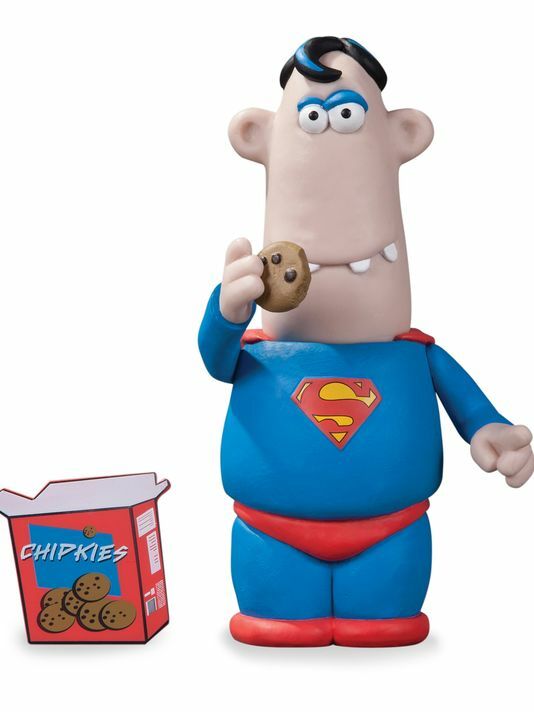 You’ll find an Aardman style Superman who stands at 6 inches tall and is chowing down on some cookies. He’s listed at $24.95. If you have kids, or you’re just a kid at heart, you might want to grab this Super Best Friends Forever pack that includes Wonder Girl, Batgirl, and Supergirl. This will set you back $49.95. 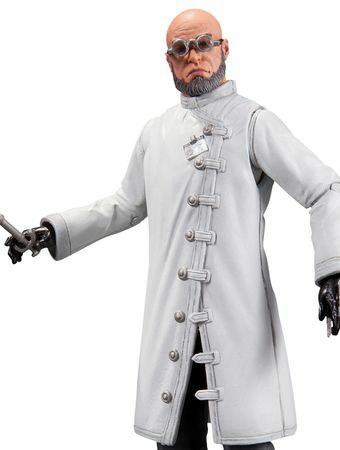 The third item is a Hugo Strange action figure based on Batman Arkham City and will set you back $29.95. And finally, the last exclusive announced is a “Superheroes of Green Lantern” four-pack. 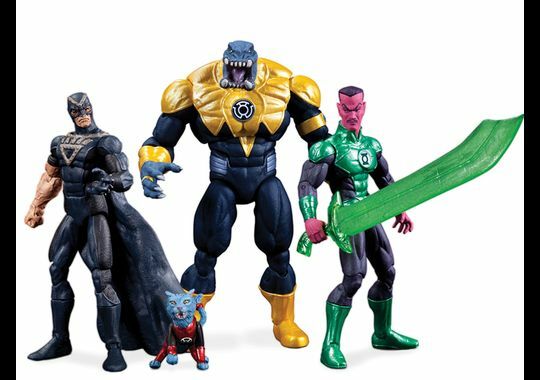 They’re 3¾-inch scale and features Arkillo, Black Hand, Sinestro and Dex-Starr. 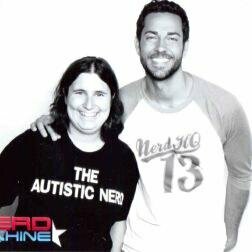 This entry was posted in Exclusives, SDCC, Toys/Collectibles. Bookmark the permalink.